Watch UK TV in Asia using our British IPTV Box that allows you to watch UK Television channels including BBC1, BBC2, ITV, CH4, Movies, Sports and our exclusive Video Club with over 350+ movies. Many people have asked "Can I watch UK SKY SPORTS 1 in Thailand or UK TV in Hong Kong?" Well now the answer is yes. UK EXPAT TV THAILAND WATCH BRITISH TELEVISION IN ASIA - With an estimated 1 million British ex pats based in SE Asia the demand for good quality, reliable and dynamic UK TV has grown over the past 6 years, just like baked beans and HP sauce the British when abroad still yearn for the comforts from home. Providing you have a suitable internet connection you can now enjoy a huge number of UK TV channels using a UK IPTV set-top box in Thailand. We only supply the MAG250 range of UK IPTV internet television boxes as they are manufactured in Europe and the suppliers of the streams are able to stream all of the top TV channels from the UK to Thailand. 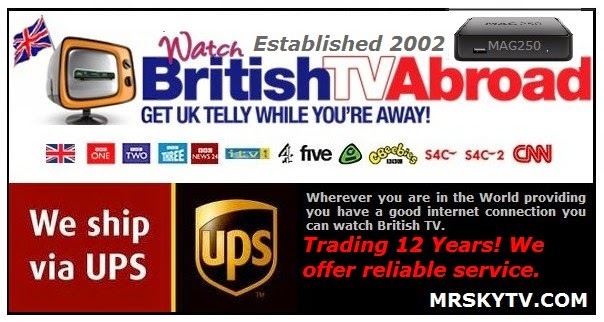 When looking for a supplier of UK TV in SE Asia always choose www.mrskytv.com as they have been trading since 2012 and have been supplying British Television to UK Expats since 2008. With a reputation built up over many years of service the no1 choice for UK IPTV is mrskytv.com. You can now watch TV shows such as Game of Thrones via the internet using the UK IPTV box that simply connects to your internet router and then to your television using either a HDMI cable or a RCA cable. We have clients all around the world that are now using UK IPTV as a solution to watch British TV. UK TV has been available in SE Asia since 2008 when British TV specialists www.mrskytv.com first started to pipe UK Television Broadcasts through the internet to clients in Phuket, Pattaya, Bangkok, Singapore and Malaysia using Sling Media Technology. 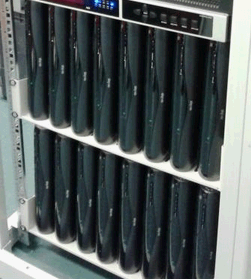 Back in 2008 we needed to pay for space in a server room with a fibre optic upload from London these server rooms had to be air-conditioned as the heat from all of the equipment was immense. We would need to supply a new SKY+HD box to each client, we also supplied a Sling-box that connected the sky box to the internet and allowed the end user the ability to control the box from anywhere on the planet using either a sling catcher or a PC or Laptop connected to a TV. Our end users included Hotel's, Bars, Private individuals and overseas workers of many major Banks. The costs where incredibly high and the technology was new but the demand for UK TV via the internet was high. Since 2011 - The game has changed and we are now able to supply all of our clients from Iceland to Melbourne, Tokyo to Brazil the latest Technology that allows our customers to watch live British Television anywhere on the planet with a good internet connection. We are able to offer UK IPTV to all clients regardless of location, we offer a complete service that guarantees the best possible quality of service to our end users. www.mrskytv.com The No1 Choice for all your UK TV requirements. THE No1 SUPPLIERS IN ASIA FOR UK TV. UK TELEVISION FOR EXPATS IN ASIA. We love being able to watch UK TV in Asia! You can use a MAG250 UK IPTV Box and within minutes of receiving your box you can be watching UK TV in Asia including Sports, Movies and much more. You will love how simple of UK IPTV box is to work. You can be the one to have all of the UK TV channels in your property in Asia. Distributors & Agents required in Asia.